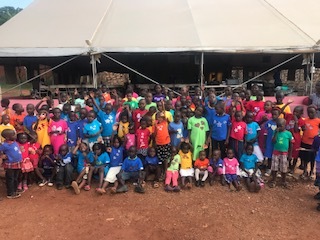 Recently, we received a request for M4KI libraries from Hope Missions, whose mission is to empower at-risk children by providing hope, love, education, and a forever family. They will soon take a team of 18-20 missionaries in December to Uganda. They wrote: “We believe the M4KI Library that you have so graciously provided to vulnerable children would be put to great use at both Redeemer House and Christ Sanctuary International.” Knowing that the M4KI Libraries are being used in this way in many countries around the world to help vulnerable children is a tremendous encouragement to us and makes us even more thankful for your help in making it possible. Please keep this mission trip in your prayers, thanks! Our daily prayers are that the many vulnerable and abandoned children in this world are able to experience God’s personal love for each one of them. This motivates us to do all we can to get out the M4KI Libraries. We have a 30-day promotion whereby eligible orphanages and institutions can apply for a free library for their orphan ministry! Please visit our Facebook page and help spread the word! God bless you and thank you so much for your continued support and prayers!